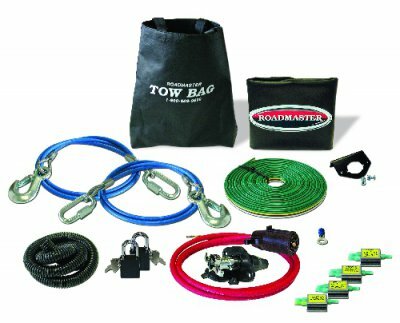 Roadmaster Tow Bar Combo Kits include all the necessary accessories. A marine- grade vinyl cover to protect your tow bar while not in use. A marine-grade vinyl storage bag for towing accessories.